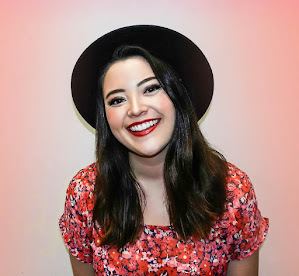 Thank you, Neutrogena® for sponsoring this post! 💖 As always, opinions are my own! Seemingly unavoidable things like winter weather, acne treatments, and hot showers are constantly working against your skin to dry it out. 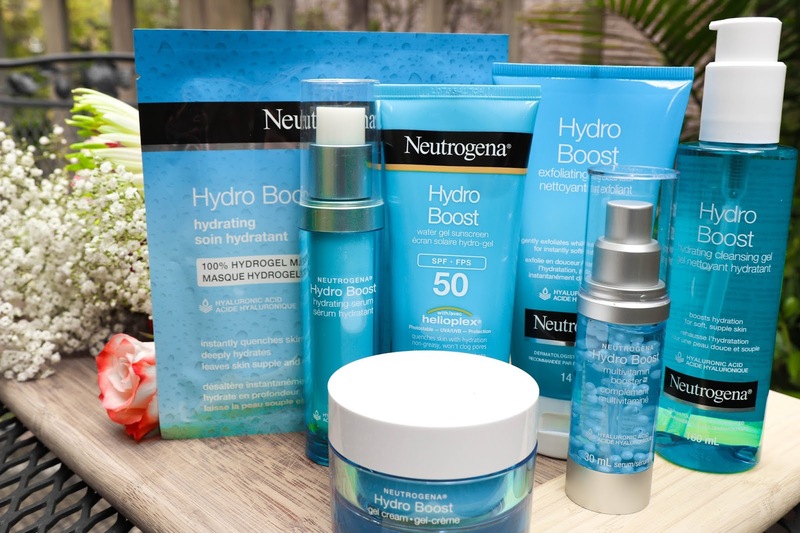 I’ve been a Neutrogena girl since I was 13 years old, so I’m beyond excited to have partnered with them to bring you a comprehensive review of their Hydro Boost line. I’m going to break the line down product by product, and hopefully give you a better sense of whether certain products might be right (or wrong!) for you. What Is the "Hydro Boost" Line? I’m going to talk a little bit about the line generally, and then dive into my thoughts on each product. The line consists of: an exfoliating cleanser, a hydrating cleansing gel, a hydrating serum, a gel cream, a hydrating hydrogel mask, a water gel sunscreen (SPF 50), and a multivitamin booster. There is also a gel eye cream, and two other gel face creams (one for extra-dry skin, and one with SPF), but to be honest, testing more than one cream seemed a little overkill, and I don’t use eye cream enough to provide a helpful review of it. 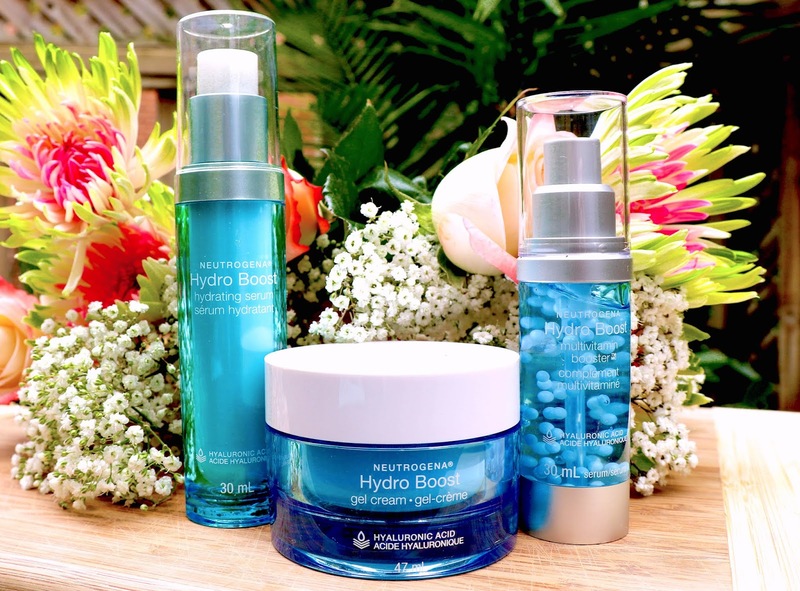 My first impression of this line was that I loved the packaging (my Instagram feed makes it pretty clear how I feel about aqua blue), but then I was curious to know WHAT on earth hyaluronic acid is. The line is centered around it, so it’s worth exploring. Hyaluronic acid is naturally present in the human body and helps your cells retain moisture. The “acid” part of its name is weirdly misleading because it does NOT strip the skin; in fact, it does the exact opposite. 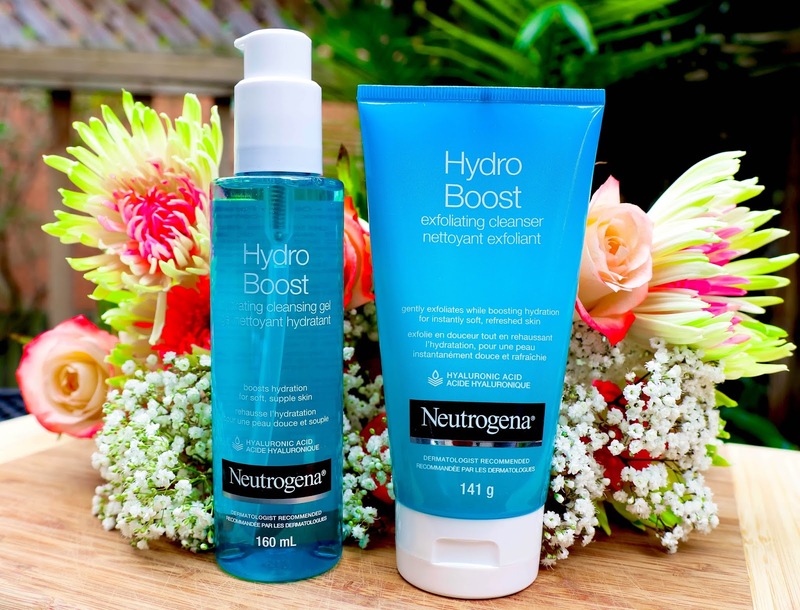 Neutrogena explains that hyaluronic acid acts as a sponge for dry skin and absorbs 1,000 times its weight in water, meaning that when it’s used in face products, it keeps skin looking hydrated, healthy, smooth and plump. In some cases, it’s even used to heal skin. I’m not a scientist, but all of this stuff seems pretty undisputed (a quick Google search will help you confirm that!) and it makes sense that this has been a popular ingredient in hydration-focused products. Neutrogena cleansers have been a skincare staple in my routine for a decade and as always, these did not disappoint. Both left my skin feeling squeaky clean, and I could definitely tell the difference between how these made my skin feel vs. other cleansers that are aimed at skin-clearing/acne. The Hydro Boost Hydrating Cleansing Gel is great for days when the last thing you want to do is irritate your skin even more (whether that be from breakouts, dryness, etc.). It’s soap-free, oil-free, paraben-free, and hypo-allergenic, so it’s incredibly gentle to the skin. I’ve seen some complaints online about this cleanser leaving a residue, but I used an entire bottle of it and didn’t personally experience that problem. Also if you use a toner or micellar water in your skincare routine, this definitely won't be an issue. I was SO excited about the Hydro Boost Exfoliating Cleanser because it DOESN'T CONTAIN PLASTIC MICROBEADS! I’m not going to start this rant again, but plastic microbeads are terrible for so many reasons (including environmental ones), so it’s great to see naturally-derived exfoliants in a drugstore product. This was my favourite out of the two cleansing products; I’m a big fan of exfoliators and this one manages to exfoliate without any harshness. It still has “smoothers,” so you can feel your skin being exfoliated – I know it’s big to just have exfoliating compounds in products now, but personally, I still like to physically feel an exfoliant in the product to feel like it’s actually doing something. I’ll stop using the word feel now. Anyway, this one is also soap-free, oil-free and paraben-free. Even though both of these cleansers are great, these would probably be the last two products that I would recommend from this line. Like I said, they’re both excellent cleansers, but if you’re really looking for that instant and noticeable surge of hydration, you’ll get way more out of the products below. My holy grail product from this line is undoubtedly the Hydro Boost Gel Cream. I had been looking for a good (and affordable) face cream for ages, so it was the first thing I reached for when I started trying this line out in May. I’ve tried it at every time of day, worn it barefaced, and tried it with other oils, serums, etc. Five months later - so far, so good. I honestly cannot say enough about this product. It’s noticeably hydrating, and it’s one of those products where you can see the difference in your skin. It feels SO soothing (and cooling! ), especially after prolonged usage of acne treatments. It dries down incredibly quickly, which is a huge plus for me; less waiting time before you can start applying makeup, a face oil, or spot treatment on top. I’ve also never been hesitant to recommend this product to friends and family. Besides being price-friendly, it’s non-comedogenic (meaning it doesn’t clog pores) AND fragrance-free so, it should work for pretty much every skin type. I was pleasantly surprised by both the Hydro Boost Hydrating Serum and Hydro Boost Multivitamin Booster. I’ve only recently gotten back into serum-type products, so I wasn’t sure what to expect. They’re both incredibly lightweight and can be worn under makeup. As someone who has had a ton of problems with skincare products pilling and/or shedding off my face after I apply my makeup, I have no complaints here. I actually ended up using these products as a primer most of the time. While I really like both of these products, I find them to be pretty similar. So, if I had to recommend one, it would definitely be the Multivitamin Booster. You can apply it separately or mix it with any of your other products for a hydration boost. Unlike the serum, it also contains Vitamin E, which is known for its moisturizing properties, among other perks. Also, the multivitamin capsules (the bubble-like things) in the booster get broken apart when you pump out the product and are no different in texture, so no need to be weary of them. On another note, I think it’s important to mention that both of these products do have fragrance in them. I personally find it refreshing and do not find the smell overpowering (I actually didn’t realize there was fragrance until I read the ingredients), but it’s something to be aware of if you know it can be an irritant for you. Does anything say self-care more than a line that also includes a sunscreen and a face mask? 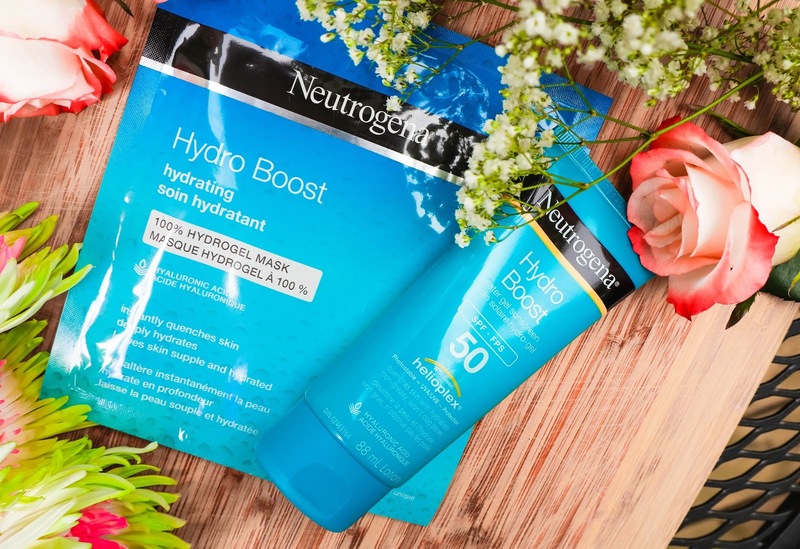 The Hydro Boost Hydrating Hydrogel Mask is one of my must-haves. If it looks familiar, I jumped the gun and posted about it months ago here, because it really did instantly revitalize my skin in the midst of exam season. Based on other online reviews, it seems like this mask is polarizing, so here’s my two cents. Even though this mask is made of a hydrogel material, and isn’t a literal “sheet”, I’d say it operates exactly like a sheet mask. So, if you are not a sheet mask person, or don’t need a concentrated burst of hydration, this is not the mask for you. I think problems with being unsure about which side of a mask to use on your face or feeling like there’s product that has fallen off the mask into the packaging are common to most, if not all, masks like this. My tip: use that excess product in the package on your neck and chest! Even though the mask material doesn't reach that far down, the product is still effective on its own. I personally use this product on days when I know that I’ve been drinking way less water than usual, sleeping for less than six hours, or relying a little too heavily on spot treatments. This product instantly makes your skin look more hydrated and feel softer to the touch. It’s definitely a temporary boost of hydration, so if you’re looking for something more consistent and long-term stick to the cream/serums. But if you’re trying to look alive on a Friday night after a long week of work, this should be your go-to. This mask is also incredibly affordable considering how high-priced similar masks are since the sheet mask craze began. There is fragrance in this product so again, if you know your skin cannot handle fragrance of any kind then stick to the gel cream, or test the product out on another part of your body first. 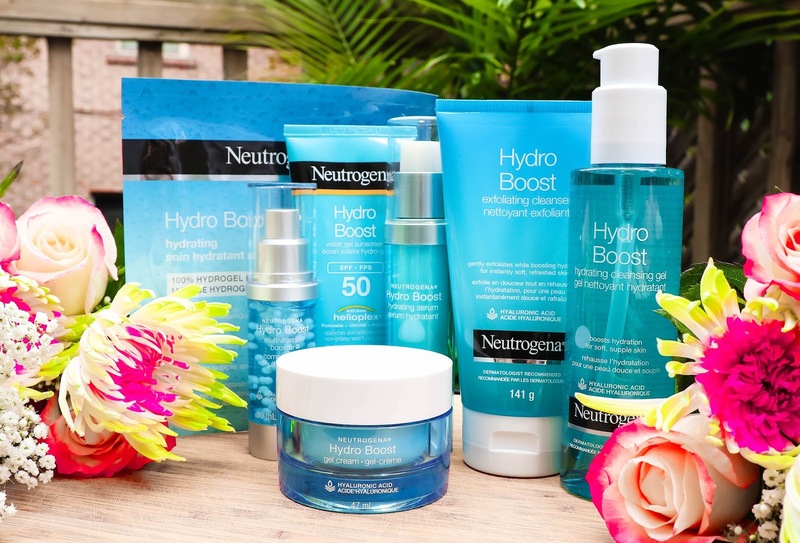 The Hydro Boost Water Gel Sunscreen Lotion is an Allure Best of Beauty Award Winner. This year, one of my goals has been to try to wear sunscreen every day, so I’ve had ample opportunity to try this product out. While I’ve started to switch between this sunscreen and a few other makeup products that have SPF included in them, my mom (who also wears sunscreen daily AND is diligent enough to re-apply) now uses this product every day. I understand why this sunscreen is award-winning. It’s a gel formula, meaning it isn’t greasy, blends effortlessly, is lightweight and I’m never worried about it leaving white marks on my clothes (or on my skin) after I apply it. It’s fast-absorbing and I love that it has moisturizing properties because I’ve always disliked using actual moisturizers in the summer heat. It is SPF 50, but because it’s a gel, it doesn’t feel as heavy and thick as cream sunscreens that hit that same SPF level. Again though, this has fragrance (“parfum”) listed as an ingredient, so be cautious if you’re sensitive! I’m a massive fan of this line (for reasons beyond the colour of its packaging). I’ve seen noticeable results from the products I’ve used and have incorporated quite a few of them into my everyday skincare routine since testing them. All these products are non-comedogenic, and each boasts other important properties that I briefly touched on throughout this post. I think it’s great to see a line aimed at hydration that offers you a full range of products that you can turn to depending on what your hydration needs may be. Also, you do not need to use every product from this line in order to see results; each product is effective in its own way. To me, the only real drawback of this line is the fact that some of the products have fragrance. Personally, I have sensitive/combination skin and have not had any breakouts from these products but you know your skin’s limit, so play within it. The fragrance aspect might also be something to be weary of if you just simply don't enjoy scented products. However, like I said, I didn’t even notice the fragrance in the serum or in the multivitamin booster, and the sunscreen just smells like sunscreen to me. Everyone’s sensitivity to smell is different (just like their skin's reaction to fragrance ingredients), so it's entirely personal. In any case, I highly recommend you give these products a try if you’re struggling to keep your skin hydrated. We’ve all been there - failing to hide dry skin under makeup or just feeling like our complexion is looking particularly dull - so why not see if there’s something in this line that works for you. Happy Hydrating and let me know what you think! Thanks for sharing your review with us! I like this brand and I use their sunscreen line for almost 5 years. Sunscreen is the best source when it comes to protecting the skin. It is handy and very convenient, don't you think so? In one of my favorite articles, applying sunscreen is mentioned as one of the ways to look beautiful naturally, just get redirected here to read more on this topic. Thanks for sharing this article. A Best Pro is the go-to electronic product review site. If you want to know more about latest products then come to this website and get all necessary information.